Journalists are probably the biggest content producers in the world, but they rarely sing the praises of their craft. Last week The Times and the Sunday Times started a visual ode to the profession: The Unquiet Film Series. 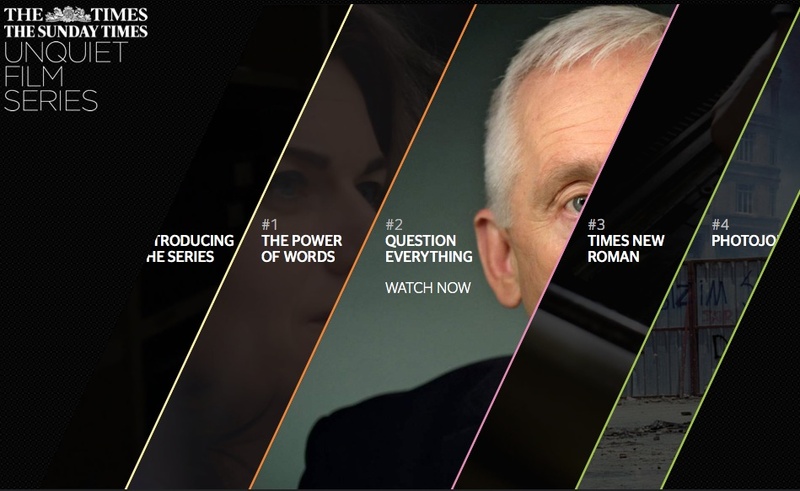 Including a short film on the legendary typeface Times New Roman.